The U.S. dollar is incredibly strong again, but no one predicted it would beef up this quickly. 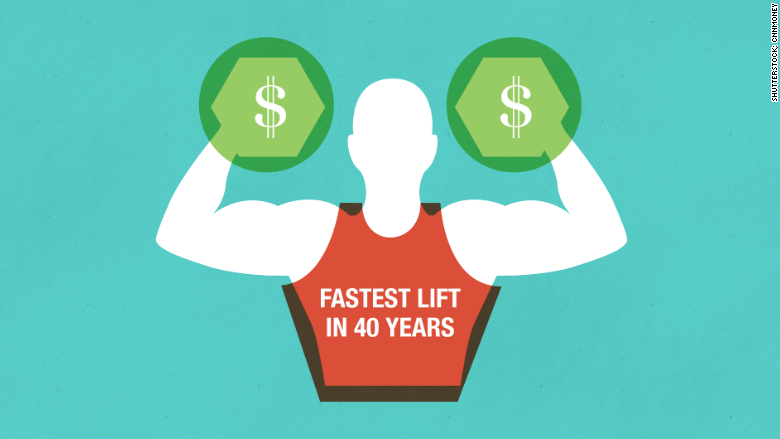 America's greenback is enjoying its fastest rise in 40 years, according to Citibank (C). Over the past eight months, the U.S. dollar has strengthened dramatically against all the world's other major currencies. Don't expect that to change any time soon. Since the start of 2015 alone, it's gone up in value about 14%, according to Bank of America (BAC) Merrill Lynch. Why the jump? 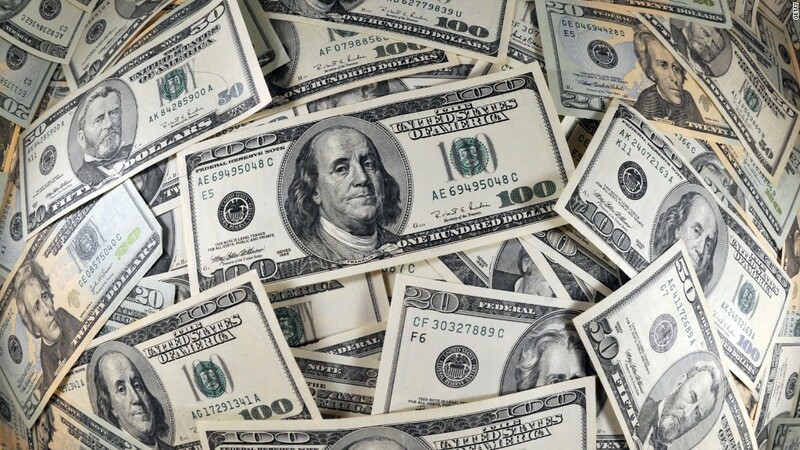 The dollar's rise is a direct result of America's strong economy while other parts of the world struggle. Europe is enacting a new stimulus program to revive its economy, and Japan is also in stimulus mode. Travelers are familiar with exchange rates and how they can impact the cost of goods. But the strong dollar's impact goes well beyond travel. It effects everything from gas prices at the pump to the profits of America's big businesses that sell things overseas. Many corporations such as Coke (KO) and Boeing (BA) warned that the strengthening dollar is harming their bottom lines, especially in Europe. The euro's big slide: One euro is now worth $1.05 -- its lowest level since 2003. This exchange rate was unthinkable only a few years ago when one euro was worth $1.37 and some predicted the euro could even replace the dollar as the global currency of choice. But you might want to wait a little longer to book that European vacation: the euro could be below $1 sometime in the next year, according to a Goldman Sachs (GS) report. They forecast one euro going as low as 80 cents by the end of 2017. The dollar's fast paced rise has convinced many that the rally won't end anytime soon. "Speed does matter," says Steven Englander, managing director of fixed income strategy at Citi. "What's going to stop the dollar from continuing to make these gains?" What's ahead: America's economy certainly won't stop the dollar's surge. The job market is on a tear, growth is picking up and the Federal Reserve is likely to raise its key interest rate this year for the first time in almost a decade. At the same time, Europe's new stimulus program is lowering interest rates across the pond. It's a recipe for the dollar to gain even more value this year, experts say. Outside of traveling abroad, the dollar's impressive rise will have an impact at the pump. A strong dollar, coupled with an over-supply of oil, helps keep gas prices low, Englander says. While cheap gas and affordable French wine sound lovely, the dollar's record pace could be a negative for America's big businesses. They will struggle to sell their products abroad because the strong dollar will make them too expensive for foreign buyers. "If we continue to see the dollar appreciating this fast, it will be an issue," Englander says.